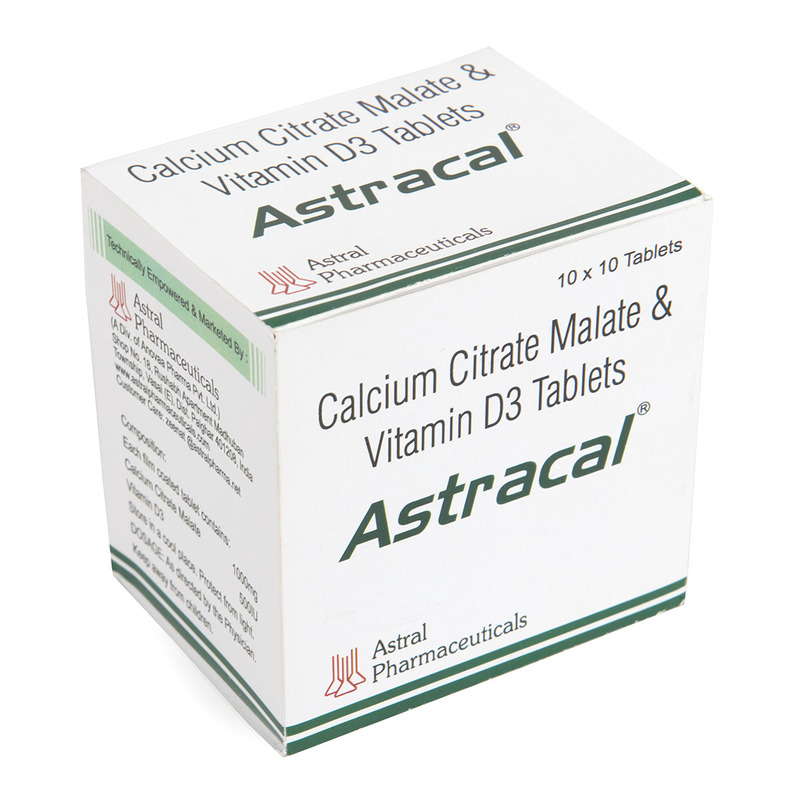 Calcium with Vitamin D3 Tablets – to strengthen bones and to treat calcium deficiencies, take our brand – Astracal. Blister strip of ten tablets & 10 X 10 Blister Strips kept in a multicolor laminated box. 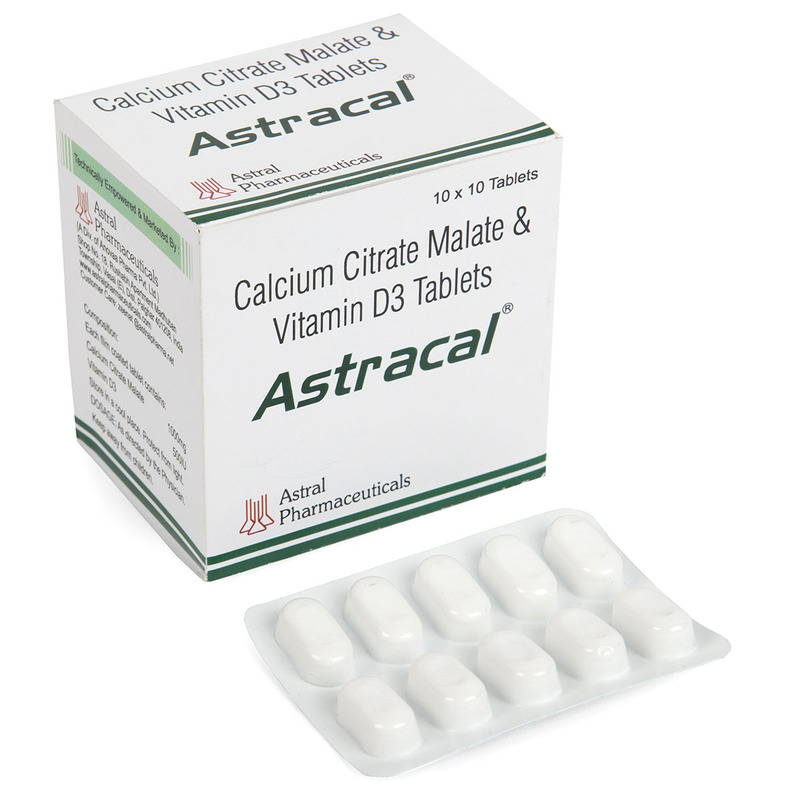 CALCIUM; VITAMIN D is needed by the body to maintain normal nerve, muscle, bone, blood, and tissue structure and function. Vitamin D helps maintain the right amount of calcium in the body for strong bones. ASTRACAL PLUS fulfils all the above requirements of the body andrejuvenate it.